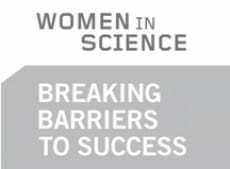 As part of CUNY’s ongoing Women in Science series, NYSCF CEO and Co-founder Susan L. Solomon was asked to speak at “Breaking Barriers to Success,” a panel discussion on how women make their way to the top of their fields. Solomon sat across other pioneering women in Science, Technology, Engineering and Math (STEM) outside of academia: Tracy Day, CEO and Co-founder of World Science Festival, and Reshma Saujani, CEO and Founder of Girls Who Code. The event series organized by CUNY’s Advanced Science Research Center aspires to help women develop professionally and build a community of women scientists.